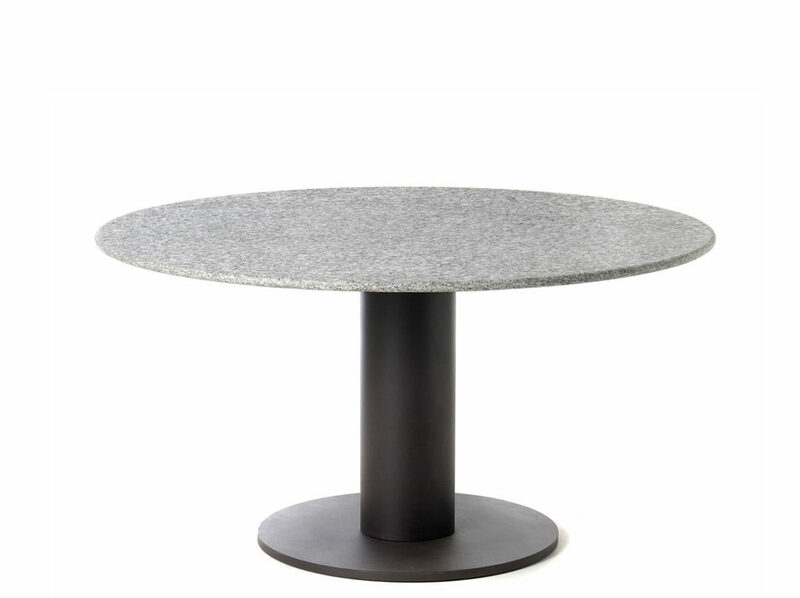 The sculptural form of the PLATTER table by Roda is expression of timeless beauty, in which a lacquered metal pedestal plunged into the ground and the slender stone top outlines against the sky. A perfect mix of simple but defined lines with a strong personality. 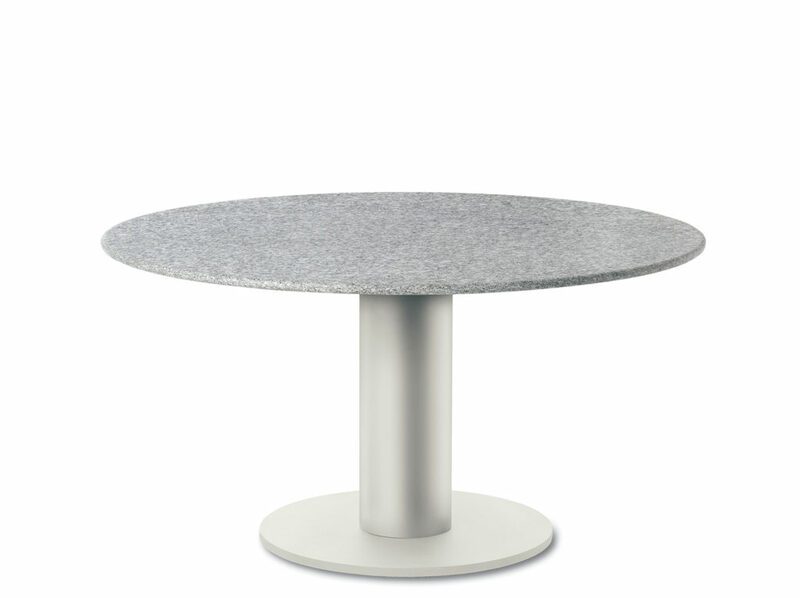 Available with smoke or milk coloured base, with a stone or a HPL top, PLATTER table perfectly suited to outdoor use.